Meningococcal conjugate vaccine (MCV4): The first dose of this vaccine is typically given at age 11-12, with a booster shot at age 16. Designed to protect young people in populated areas like schools and dorm rooms, this is the most widely administered meningitis vaccine. Meningococcal polysaccharide vaccine (MPSV4): This meningitis vaccine was created specifically for people over the age of 55. MenHibrix: The newest of the meningitis vaccines, MenHibrix is for infants ranging in age from 6 weeks to 18 months. In addition to meningitis, it provides protection against Hib disease. 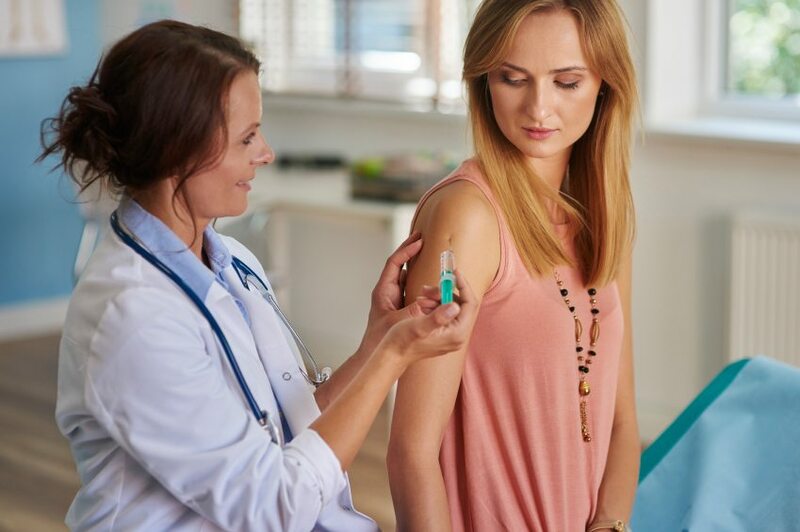 Though these vaccines, specifically MCV4, are given to most young people in the U.S., they have been found to cause complications in some patients. Because of the severity of meningococcal disease, the benefits of the vaccine are still considered greater than the risks. Meningococcal disease is rare, but when it strikes, the effects can be devastating. Bacterial meningitis is the most common form of this disease, infecting the fluid around the brain, spinal cord, and even the blood. Young people – babies, children, and teens – are most commonly affected. According to the National Meningitis Association, 10-15 percent of those who contract meningococcal disease will die. The organization also states that, of those who survive, 1 in 5 will live with permanent disabilities such as brain damage, hearing loss, loss of kidney function or limb amputations. Everyone who decides to get their child vaccinated for meningococcal disease does so out of genuine love and concern. However, some families are shattered when the vaccine itself causes a severe side effect. If you or your child is a victim of vaccine injury, you may be eligible for compensation for medical bills, pain and suffering, legal expenses, and more. You do not have to sue any party to receive this compensation — it is available through the National Vaccine Injury Compensation Program, a government fund created to help families like you. Nancy Meyers with Ward Black Law helps people dealing with vaccine injuries apply for funding from this program. Contact us today for a free case review.